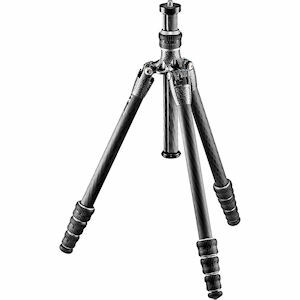 The Gitzo GT0545T Series 0 Traveler Carbon Fiber Tripod is made more compact for travel thanks to backwards folding legs that can fold around the center column which contribute to the tripod's folded length of just 14.4". It extends to a maximum height of 48.2" and can hold up to 22lb of gear. With the included short center column installed, the tripod can get down to 8" for macro or low-angle shooting. Gitzo utilizes Carbon eXact tubing for added strength. 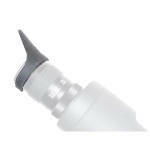 Re-designed space-saving rubber feet can be easily replaced if they are worn out. A shoulder strap is included for easy carrying. Max. Ht. (col. ext.) 48.2 in. Max. Ht. (col. ret.) 41.7 in. Product Weight (lbs) 2 lbs.